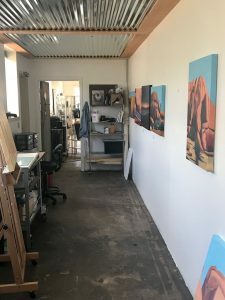 In 2017, I was fortunate to rent studio space at the newly formed Bright Place Gallery artists’ cooperative – part of the recently created 9th Street Village. 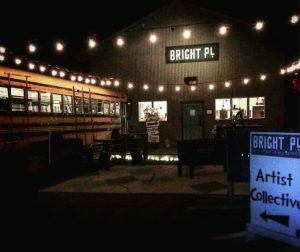 Bright Place Gallery is not just a gallery, but a collection of working artists’ and makers’ studios with a coffee shop bus, resident cat ruler (Leonard) and outdoor gathering area. Currently we have 10 artists/makers working on site including Stuart’s of Bend . 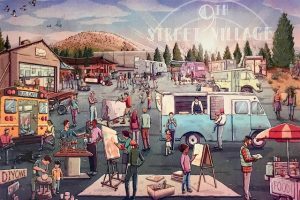 9th Street Village is home to a diverse collection of businesses owned and operated by artisans, makers, crafters and creatives and is open to the public. It is also home to the DIY Cave. 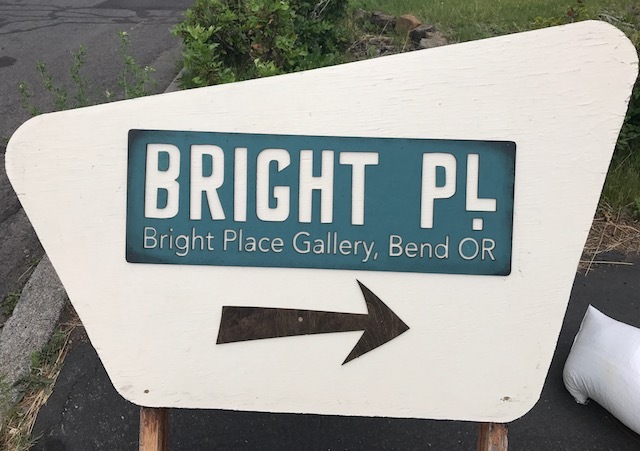 Find us at 909 SE Armour, Bend, OR.